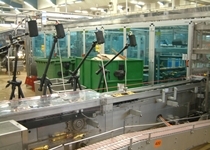 KCTS specialises in the filming of manufacturing improvement projects for World Class factories. Also, on many KCTS training courses, videos are used to enhance the training experience by showing the actual improvements needed to be made. 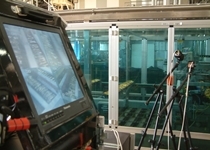 Professionally shot improvements result in easier to follow footage for analysis, so a better understanding and reduction of the whole process can be achieved. In addition to the media services we also hire out equipment to customers that are wishing to undertake their own analysis or improvement activity. The Mobile Investigation Camera Kit (M.I.C.K.) is fully portable and can easily be moved or separated for hard to access areas. The kit consists of everything required (camera, lights, tripods, clamps, strobe, LCD monitor and DVR) for machine or process investigation work.